Northwest A&F University has deepened its agricultural cooperation with Kazakhstan, introducing 39 varieties of crops from China via jointly established demonstration gardens in Astana and the country's north region this year. Located in Yangling district of Xianyang, Shaanxi province, NWAFU has built partnerships with Kazakh National Agrarian University, S Seifullin Kazakh AgroTechnical University, and M Kozybayev North Kazakhstan State University. They have each provided a 5 hectare core testing area in Almaty, Astana and Petropavlovsk respectively, for the introduction of Chinese crop varieties. The Kazakh side is responsible for the daily management of the demonstration gardens, while the Chinese side is responsible for providing crops and technologies, according to Guo Dongwei, associate professor of the college of agronomy at NWAFU. 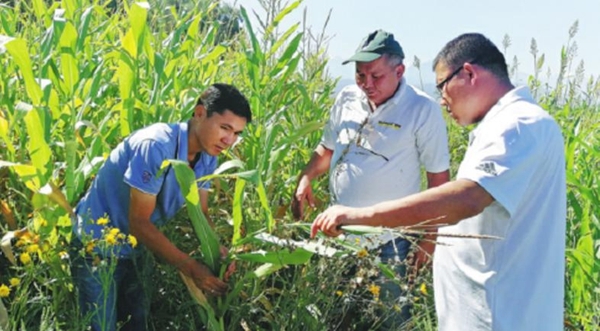 "After a two-year test, for each type of crop introduced, we will select one or two varieties that are suitable for local promotion and then conduct the experiment again in a larger test field covering 6.67 to 13.33 hectares," Guo said. "If the selected varieties perform well consistently, we'll offer them to local farmers who have received orders from Xi'an Aiju Grain and Oil Industry Group Co, and show them how to plant the crops using our technologies. Later, Aiju will purchase the crops and sell them in China," he said. Back in November 2016, NWAFU proposed the launch of the Silk Road Agricultural Education and Research Innovation Alliance to promote technical and education collaboration, foster talent and increase use of agriculture technologies. To date, 76 agrorelated universities, research institutes and companies from 14 countries have joined the alliance. So far, the university has introduced 37 varieties of crops - including wheat, corn and potatoes - to the demonstration gardens it jointly established with its local partners in Kazakhstan. After tests over a 12-month period, the best-performing variety of corn yielded 12.9 metric tons per hectare in Almaty, 57 percent higher than the output of the local variety. Zhang Zhengmao, a professor at the university's college of agronomy, said: "Kazakhstan has vast land resources and is scarcely populated. In spite of its great potential for food production, its grain output is low at the moment. We hope to help local farmers increase their crop yields and sell their wheat to China, thus increasing their income and Kazakhstan's exports to China, as well as helping China ensure a secure food supply." The agricultural cooperation between the two countries is mainly focused on technological collaboration, such as exchanging seed resources, joint breeding, desertification control and soil erosion prevention, Zhang said. In addition, China and Kazakhstan have also stepped up cooperation in education and talent fostering. NWAFU admitted 21 doctoral students from its partner universities and several research institutes in Kazakhstan in 2017, as well as another 27 doctoral students from the Central Asian country this year. Sponsored by the Chinese Government Scholarship - the Silk Road Program set up by China's Ministry of Education, the students will return to Kazakhstan after graduation. Kazakh teachers also attended short-term training at NWAFU, he said. A number of other Chinese universities and research institutes, such as Xinjiang Agricultural University and the Xinjiang Academy of Agricultural Sciences, have also established cooperation with their Kazakh counterparts.